A foreboding Cold War thriller, Fail-Safe is a stark black and white warning of the potential for an unintended nuclear war triggered by technological failure. Directed by Sidney Lumet in theatrical style and a continuous tightening of-the-screw pacing, Fail-Safe is a sweat-inducing feast of building tension. It's the height of the Cold War, with the United States and the Soviet Union harbouring deep mutual suspicions and guarding against a surprise first strike. At the United States Strategic Air Command facility in Omaha, a routine VIP tour is under way, the large electronic map of the world revealing the depth to which technology is being used to facilitate control over the war machinery. When an unidentified aircraft is spotted over the United States, strategic bomber squadrons equipped with nuclear warheads are scrambled to "fail-safe" locations to await further orders. The unidentified plane turns out to be no threat, but something goes very wrong when the bombers are recalled from their fail-safe positions: one squadron receives the wrong code and is set on a course to drop its nuclear bomb cargo on Moscow. 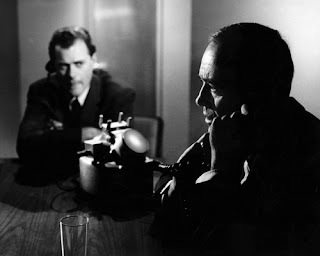 When efforts to recall the bombers fail, partially due to successful Soviet jamming devices, the US President (Henry Fonda) and his translator (Larry Hagman) start communicating with the Soviet Chairman and his staff, hoping to avert a counter-strike that would spell the end of humanity. Meantime, the hawkish Professor Groeteschele (Walter Matthau), a civilian advisor to the Pentagon, urges the launch of a full scale nuclear assault to take advantage of the unintended techno-glitch. After some awkward introductory scenes mainly related to Brigadier General Warren Black (Dan O'Herlihy) trying to decipher the meaning of his recurring nightmare at the start of what would prove to be a very long day, Fail-Safe primarily takes place in three rooms: the Strategic Air Command control room; a Pentagon conference room; and a tiny communications room deep in the bowels of the White House from where the President attempts to avert the end of the world. As the minute of doom approaches, Lumet makes the world ever smaller, just the President, a clumsy phone, and the distant voice of the Soviet Chairman standing between human survival and total destruction. In an ironic condemnation of the Cold War, the non-military men are the most memorable characters in the movie. Henry Fonda gives the President his unique, deeply caring persona, a man who quickly comes to terms with the situation, immediately eschews useless reactions such as anger, blame and rage, and gets down to the business of making the right decisions. Fonda's performance is perfection in a single room, even more physically confined that 12 Angry Men, once again saving souls but this time with many more lives riding on his judgement. 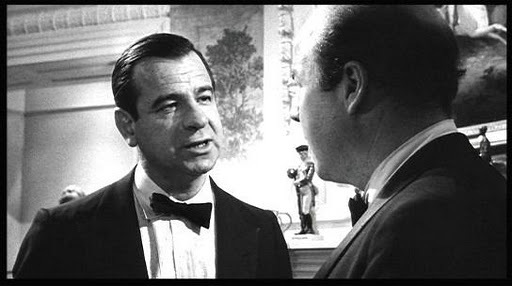 Although they never meet in person throughout Fail-Safe, Walter Matthau's Professor Groeteschele is a perfect counterpoint to the President. Heartless, purely theoretical and never far away from the calculus of economics, power and ideology, Groeteschele gleefully knows all about the cold facts but nothing about warm human emotions. He represents the human form of computer, possessing all the answers but incapable of understanding the human suffering represented by all the numbers. Larry Hagman makes a big impression in a relatively small role as Buck the translator encouraged by the President to convey much more than just words: he is to also interpret, understand and explain the emotions in the voice of the Soviet chairman. It's a master-stroke summary of the President's understanding of the human condition, capturing his ability to quickly trust Buck, and his emphasis on understanding and reacting to the psyche of his Soviet counterpart. Lumet and cinematographer Gerald Hirschfeld make excellent use of close-ups to enhance the black and white decisions facing the generals, commanders and the President. Once the bombers are on their way to Moscow, every decision carries enormous consequences, and once theoretical debates are turned into actions that could save or destroy millions of lives. 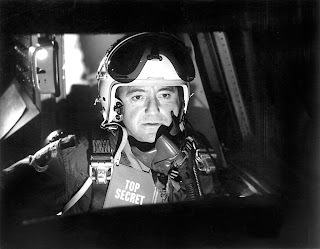 The tricked-out Strategic Air Command war room, filled with massive electronic wall maps, satellite feeds, boxy computer servers, and dazzling flashing lights is a stark contrast to the small, bare room where the President has just a phone and a translator to save the world. Walter Bernstein fills the Fail-Safe script with references to the dangers of over-reliance on technology. He drives the point home with the generals and all their technology rendered helpless, and the President armed only with a phone frantically trying to find a human solution for a tragic worst-case scenario. The computers may have all the blazing speed and brute power, but nothing can compete with the human ability of rational reasoning in the face of a horrifyingly unexpected disaster.